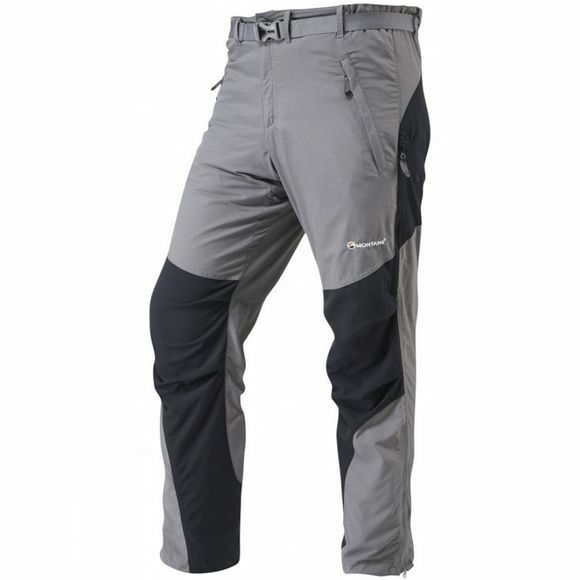 The Mens Terra Pants from Montane are an extremely popular choice of action trousers for adventure travellers, as well as climbers, who want one pair of durable but versatile trousers to suit a range of outdoor activities. Terra Pants are reinforced to prevent rips and tears and the quick drying Tactel fabric is both water and wind resistant. If you are looking for ultimate freedom of movement on the hill, trail or cliff, grab a pair of these Montane trousers and prepare for action!